We notarize documents of all kinds, including, Loan signings, estate planning, real estate, power of attorney, wills, contracts, parental consents, Power of attorney, Advanced Health Care Directives, Permission to travel forms, All trust documents and any other thing you need! The purpose o f our company is to provide you with the convenience of hiring a reliable Notary Public who will travel to you. We are not just a “sign and stamp it” notary. We perform the following functions as part of notarizing signatures on documents–all of which are required by California State law, except the last. 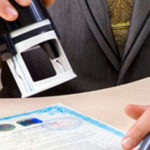 Those residing outside the U.S.
At some point in everyone’s life, you will need a Notary. Why bother taking off work to drive to a notary’s office when our mobile notary public’s come to you? If you’re closing on a mortgage home loan, we can work with the title company & bring all necessary closing documents to sign at your home, office, or other location. That means you close on your home faster, and with convenience. 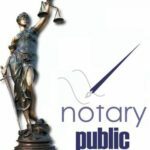 Our mobile notary public’s also can assist with all trusts, wills, child custody agreements, and other important documents you may need to have a mobile notary public service for. We are simply a one stop shop!